We have recently seen horrific earthquake disasters in New Zealand and Japan. 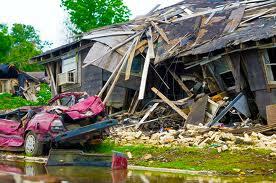 There has been widespread loss of life and destruction of infrastructure and buildings. California has a history of devastating earthquakes as well—the San Francisco, San Fernando, Northridge, and Loma Prieta earthquakes, among others. Heavy rains have created landslides, mudslides and shoreline erosion all over California, damaging homes and property, some of it in community associations. Wildfires in the past decade have destroyed hundreds of homes. Rising sea levels are threatening to flood low-lying developments, including many common interest developments. What does a community association board of directors do if a natural disaster wipes out all or a portion of their association? Is this a problem to worry about? When and where is it likely to happen? Is there a plan for dealing with it? Worry about it. A disaster can strike at any time. Most community associations and special districts are ill prepared for the consequences. Disaster insurance is usually inadequate or even non-existent and there is little reserve funding that can be tapped to rebuild. Here are a few examples of how existing and future developments could be paralyzed by a natural disaster. Bethel Island lies in the Sacramento Delta between Sacramento and Stockton, California. Its home to about 2500 residents. The interior is 7-15 feet below sea level. There are 11.5 miles of levees that serve as a dam to keep the waters of the surrounding sloughs from inundating the island. Property taxes collected from the residents of the island fund a special district, the Bethel Island Municipal Improvement District (BIMID) which is responsible for the maintenance and repair of the levees and functions like a municipality or a large community association. Bethel Island is 12 miles from the Greenville Fault and is considered to have strong shaking potential in a potential earthquake. Shaking can create landslides in the levee which could breach anywhere around the island. The levee also has a high probability of liquefaction in a quake. The Cargill Corporation is proposing to build 12,000 homes on reclaimed salt ponds in Redwood City. The homes will be surrounded by a levee. The new homes will be below sea level with only the levee keeping out San Francisco Bay. The source of funding for maintenance of the levee hasn’t been fully disclosed, but Cargill has already said it would not be Redwood City taxpayers, and it’s a sure bet that it won’t be the State of California. It’s very likely therefore that the proposed levee will be maintained by a special district like the one on Bethel Island, or a homeowners association, either of which, in turn, will be reliant on assessments or taxes from the homeowners within the development for its long-term funding. The bay city of Benicia recently announced on its website: “In the event of projected flooding sandbags are available at the Benicia Corporation Yard. Some assistance may be available but residents should bring shovels and plan to fill and load the bags themselves.” A bayside community association in Benicia recently settled a lawsuit against the developer of the project recovering nearly fifteen million dollars so it could re-level buildings that were sinking into the bay mud as well as to install common area drainage to protect it against rising sea levels and the flooding that occurs during major storms. Ocean Harbor House is a condominium project in Monterey, California, one of very few properties in the area with Pacific Ocean frontage. Erosion of its beachfront threatened the stability of the buildings at the time it was converted from apartments to condominiums. 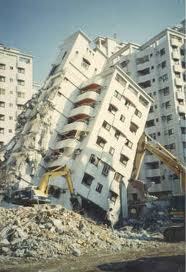 The developer had failed to address these foundation stability issues adequately. It took a lawsuit and over ten million dollars to build an adequate seawall. The litigation was hotly contested and the case only settled after a jury was empaneled to decide the case. A team of consultants and experts shepherded the Association through the Coastal Commission and construction process, allowing the seawall to be completed on time. The force of recent storm events underscores the significance of these efforts. The common thread. What’s common to all of these examples? They all involve small communities or community associations that had to deal with the effects of natural disasters. They are completely reliant on their individual homeowners for the necessary funding. Public agency funding was and is not available. They also involve disasters which, in most cases, insurance is either excluded (flood and landslide insurance) or extremely costly and with large deductibles that make its purchase a questionable investment (earthquake insurance.) They also involve communities for which reserve funding for natural disasters was and is non-existent. 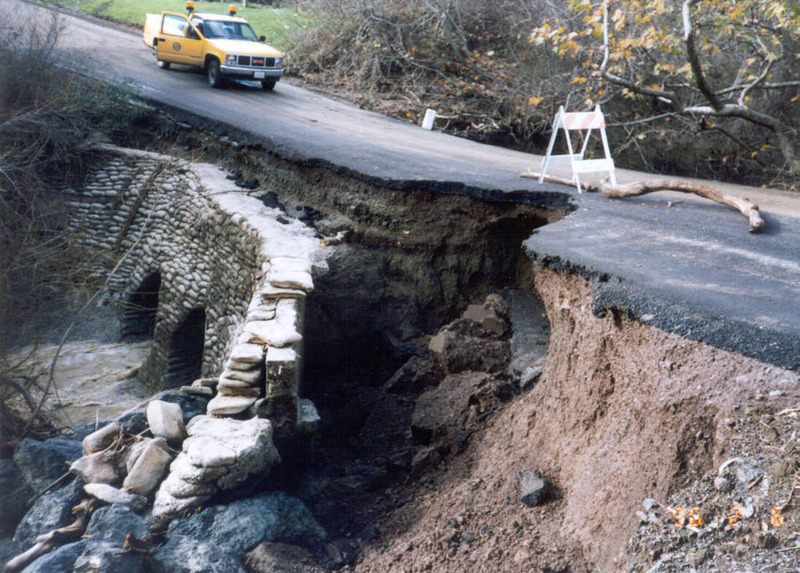 The lucky ones, those that discovered landslide, structural, flood, or erosion threats while there was still time left on the statute of limitations, were able to bring claims that produced enough cash to retrofit the buildings or fix the damage. Others, like Bethel Island or any development more than ten years old, have no such recourse. We’ve previously discussed various threats posed by landslides to community associations; the earthquake danger to certain types of multi-family construction; and the potential impact on homeowners from rising sea levels. In most cases, community associations do not have the resources to address damages caused by natural disasters. They do not have reserves and usually do not carry insurance for earthquakes, flooding due to levee breaks, beach erosion, or landslides. 1. Investigate Your Exposure. 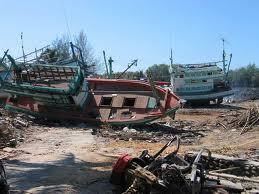 Retain experts to investigate the vulnerability of the project to potential natural disasters. Hillside common areas, proximity to the bay or ocean, construction on fill or bay mud can expose an association to serious damage from storms, rising sea levels, or earthquakes. For example, older construction should be analyzed for issues such as the soft story problem and similar construction-related failures. Appropriate experts, structural and civil engineers, contractors and architects can conduct the necessary inspections and provide the board of directors with reports outlining any concerns and proposals for repair. 2. Review Your Insurance. Boards should review their existing insurance program and any additional available insurance coverage to be sure that they are as insured as currently available policies and their budget allow. Most property policies insure an association against losses by fire, but few include earthquake or landslide protection and may expressly exclude such perils. Earthquake insurance is offered, but it is very expensive and high deductibles would require a cash reserve beyond the capability of most community associations. A southern California insurance broker who specializes in insurance for community associations has published a comprehensive outline of earthquake insurance questions and answers on its website. 3. Retrofit Your Buildings. Multi-family buildings with “soft stories” should be considered for retrofit before another earthquake. There are several ways of retrofitting a building with weak support for the upper floors. 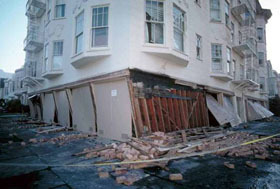 Buildings with large openings at the ground floor should be closed or framed to prevent failure in an earthquake. Retrofitting may be cheaper in the long run than purchasing earthquake insurance according to at least one source. Known landslide hazards should be mitigated and suspected areas of potential earth movement investigated. Drainage and seawalls near the bay and ocean should be inspected and upgraded as necessary to remove erosion and flood risks. Structural components such as balconies, stairways, and catwalks that have deteriorated or have sustained wood rot should be braced or rebuilt. Common areas may need retaining walls or new drainage systems to cope with rising sea levels. 4. Advise Your Members. The board should notify the members of the Association’s disaster preparedness. Once the board has investigated the vulnerability of the project, reviewed and chosen the necessary insurance, and determined whether a repair or retrofit to vulnerable building components is in order, it should advise the members so that they understand the decisions that have been made. 2. Take out a bank loan? Many banks are generally willing to lend Associations the funds to perform their repair obligations. These loans are secured by the Association's authority to collect assessments. As a practical matter, any loan will require membership approval, at least for the special assessment to repay the loan and, in some cases, for the specific loan itself depending on the bank or the Association's governing documents. But, if equity is low or repair costs high, the bank may require that the members pay a certain portion of the repair cost "from their own pockets" before the loan will be funded. All this is problematic if owners are considering walking away from the development based on the repair costs or the magnitude of the damage. Bank loans, while possibly forming an important resource for financing post-disaster repairs, may not be adequate to raise needed cash and won't be easy to get. Also, since an association has only the right to collect assessments and has no real estate of value that could secure a loan, the bank may want to look to the members individually as the only real security—a fact that may make member approval of a loan no slam dunk. 3. Sell the project? Yes, it is possible. With a vote of the members, the board of directors or a trustee could sell the project as a single parcel. When damage is severe and if the members decide not to rebuild, the California Civil Code allows the entire project to be “partitioned” which means aggregating all of the individual titles and selling the entire project. Whether the sales price and any existing insurance coverage would be sufficient to pay off all of the existing mortgages is doubtful. It is also not hard to imagine a disaster scenario where the buildings are so badly damaged that the owners have moved away and cannot be found. There is no statutory default in such cases. The standard clause included by BerdingWeil in the CCRs that its attorneys prepare provides for alternate repair strategies to be presented to the members. But if none of the alternatives are accepted, the board of directors is given the authority to sell the property without a further vote. 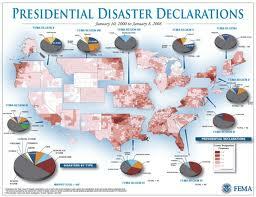 As discussed above, there are several tools available to address a major catastrophe. These include pursuing timely claims against responsible parties, making insurance claims, obtaining bank loans and the imposition of special assessments. In theory, some or all of these tools might save a project. But actually implementing any of these can be a daunting task. Depending on how records are kept, the nature of the catastrophe, how many units, owners or buildings are affected and other factors, including communicating with fellow members, let alone being able to schedule post-disaster meetings or votes, may prove a difficult challenge. And, even if a vote could be taken and quorums achieved, the inherent "glue" that keeps members together may be lost in the disaster: some won't want to pay to rebuild and those who do won't be able to do so alone. 4. Condemnation? If all else fails, and the buildings cannot be repaired so that they are once again suitable to live it, the city or county will declare them uninhabitable—“red tagged” if you wish—and condemn them. Condemnation does not mean that the city will buy them—that’s inverse condemnation and only works when the city does something that incidentally deprives the owner of the use of the property. Direct condemnation results when a building is not fit for human habitation and residents are prohibited from occupying it. Fire, earthquake, floods, and landslides have all resulted in buildings being condemned. Condemned property can be sold; it just can’t be occupied by the residents until it is made habitable. A buyer could rebuild the project or demolish what’s left and build something new. The massive loss of equity that owners in common interest developments have suffered in the recent recession coupled with the likelihood that most projects are underinsured for serious disasters, leaves open the very real possibility that most boards would likely throw in the towel and let the lenders take over rather than try to rebuild, leaving the owners with little or nothing of value. The exceptions to this scenario include the lucky owners whose developments are still within the applicable statute of limitations—assuming the damage was the result of a failure by the developer to adequately anticipate the disaster in the design and execution of the development. The other exceptions are where the damage is not serious, there is adequate insurance, or the property itself is so inherently valuable that a sale would produce proceeds well in excess of the amount of total loans against the property. Except in cases where the location has great inherent value, more than likely the lenders, and not the owners, would end up with whatever cash is derived from a sale of the project and any insurance proceeds. Depending on the extent of the damage therefore, the owners, especially those with little equity, would have little incentive to do anything but walk away. The Japanese and New Zealand earthquakes, the resulting tsunami, the recent spate of damaging landslides in California, the wildfires we’ve seen in the past decade, and the threats posed by rising sea levels and ancient infrastructure, raise serious concerns about how a community association will survive a disaster, and whether the project can be rebuilt. Most associations lack the necessary funding to do even routine repairs, much less totally rebuild substantial portions of the project. We have warned about community associations that have reached the end of their “service life.” Given what we know, a natural disaster could hasten that inevitable deadline substantially. If we are owning a condo or any property, this blog must be read. It's helpful, especially for me, since I have a condominium in the Fort.